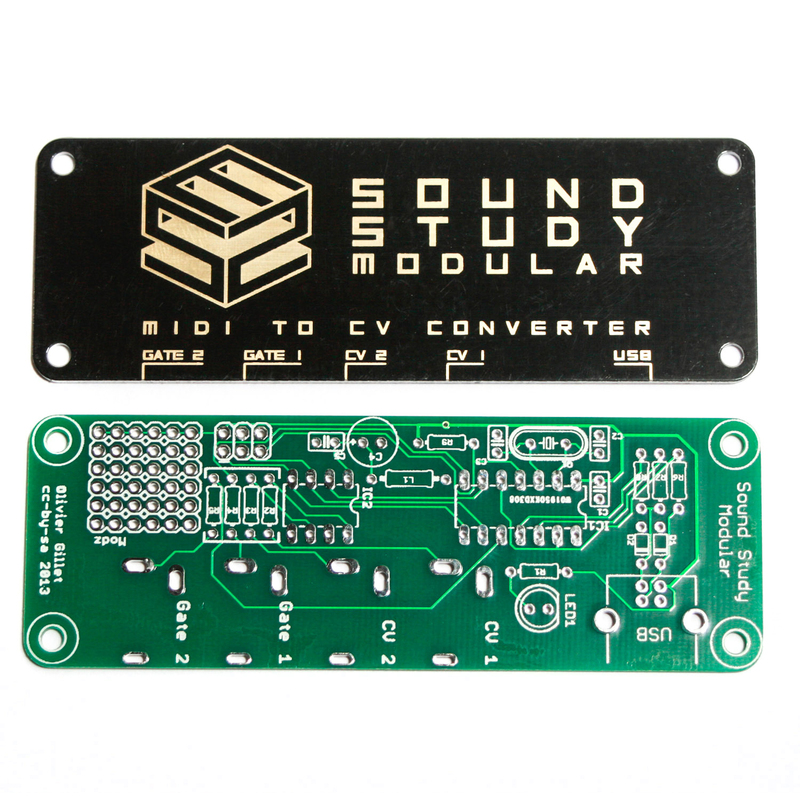 Please note: this version only comes with a PCB and the top panel. You will need to source all the other components yourself. 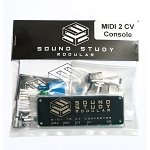 The Sound Study Modular Midi 2 CV is a 4hp USB MIDI to CV and Gate converter. It has a bunch of different modes that it can operate on, like monophonic, duo monophonic, and many more! The Midi 2 CV is class-compliant but uses an unusual USB setting (1ms poll-rate in low-speed mode) not well supported on Windows. Optimal latency is obtained with OS X >= 10.6.3 ; iOS ; or Linux >= 2.6. On other systems, the Midi 2 CV will work but messages will be delayed by up to 8ms. CV outputs: 0 to 4V, V/Oct (4 octaves). Gate outputs: Positive V-trig, ON = 5V ; OFF = 0V. 8 points calibration curve for non-linearity compensation. Temperature dependency: +/- 2 cents within the 10Â° C to 80Â° C range. 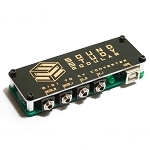 Output impedance: 220Î© (rule of thumb: 2 cents drop per connection to a CV input). 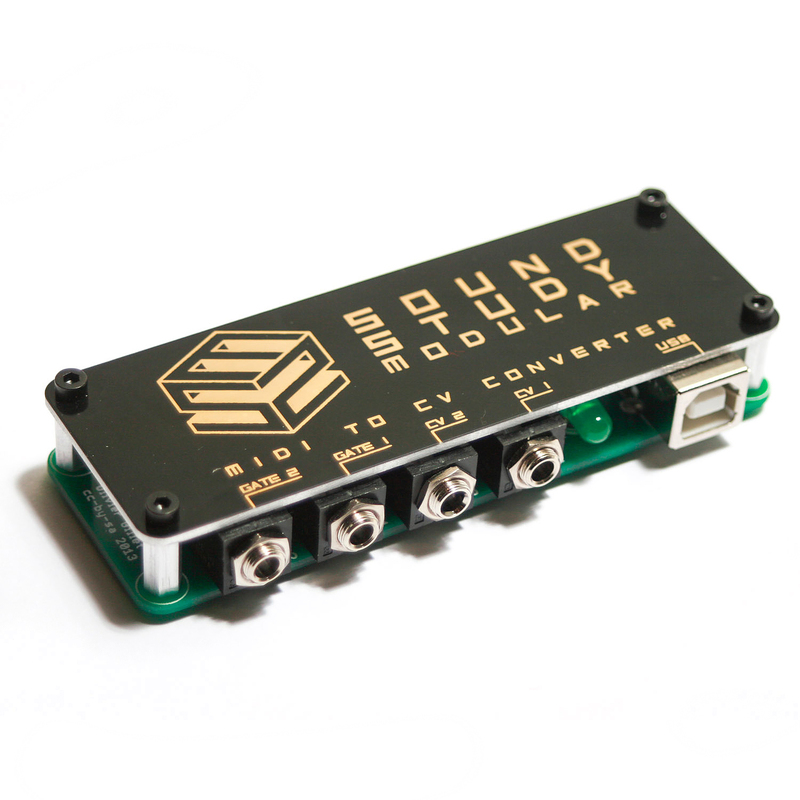 USB-bus powered, current draw < 20mA.